Key Themes: Children's stories, fantasy for age's 0 to 8. It's Marvel, DC Comics, Harry Potter and Lord of the Rings but for children..
Bibby is a bib who has three best friends - Mr Kettle, Egg Cup and Toasty. They all live in Small Town of People Land. 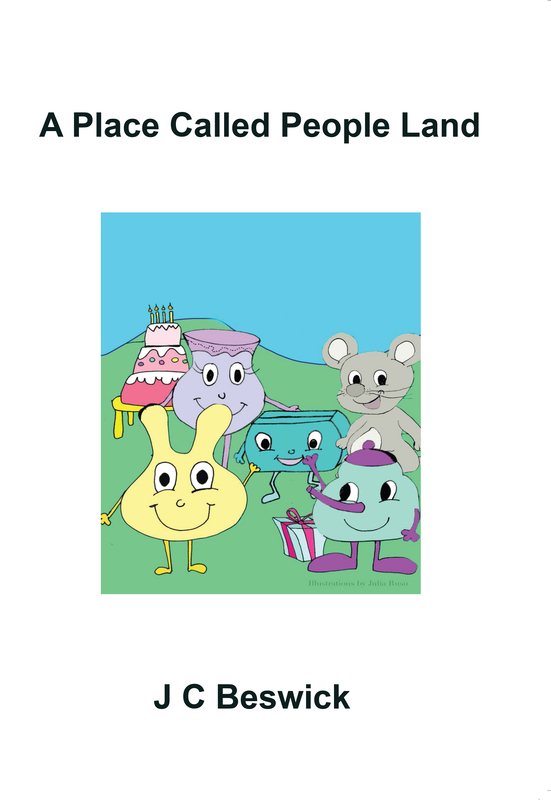 People Land has three main parts; Small Town, Big Town and the People Land Park. However, there are other places, such as Magic Land. There are thirty different short stories within this book whcih are sure to delight adults and children alike, so happy reading. The author, James Cambell Beswick was born on 11th November 1978 in Cheltenham, Gloucestershire. When he was three months old, he and his mother moved to Sutton Coldfield, West Midlands where he lived for many years. At the age of twelve, James was diagonsed by his teachers with dyslexia. This meant that he had difficulty processing language, noticeable in his reading and writing. He moved to a private school that specialised in dyslexia for two years before moving to a boarding school which also specialised in dyslexia. When James was eighteen he was diagnosed with a mental illness.